A gunshot blast in an otherwise quiet section of Toronto recently summoned tactical officers to break up a rowdy party. Once on the scene, police discovered weapons, crack cocaine, and occupants who gained access via Airbnb. According to a news report, the walls were damaged, along with some of the doors and furniture. The person who had secured the rental through Airbnb was not there. 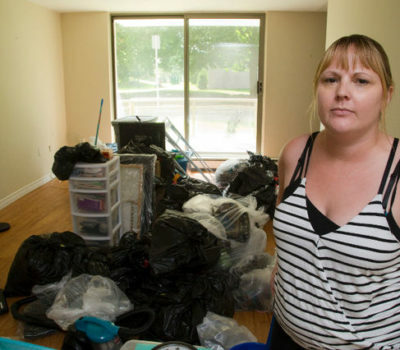 In this case, it was the homeowners who opened up their property to vacation renters, but this story has renewed the controversy over short-term rentals within the city, something Toronto lawmakers have vowed to regulate. One important protection they want to include is making sure that tenants seek their landlords’ consent before hosting visitors in a rental property. Toronto is not alone in studying the impacts of short-term rentals. Vancouver may limit such arrangements through a permitting process, and New York City has regulated the practice, including a requirement that hosts remain at the property while guests are visiting. However, local governments are more concerned with the loss of hotel tax revenues and the lack of affordable housing than with property damage in individual rentals. Landlords are particularly vulnerable to income loss from short-term rentals. Should a landlord commit the property as a vacation rental, he or she still must screen, on average, anywhere between one and twenty renters per month. At least landlords have knowledge of the tenant screening process. The nightmare occurs when tenants host guests without their landlords’ knowledge. It’s like dropping your luxury car off at the shop, only to have the mechanic rent it out to strangers during the day. You get it back with a dent and extra mileage, but nothing to show for it. The only difference with vacation rentals is that the property is worth a lot more. Online vacation rental websites make it easy for a tenant to hide the activity from the landlord, who would have no reason to know that the property has been converted to a part-time bed and breakfast. Even if tenants are someday required to seek their landlords’ consent, short-term rentals will remain a tenant screening nightmare. For instance, services like Airbnb create a sense of intrigue when linking hosts to strangers. In this context, a “stranger” is not some scary person who robs people, but rather is cast as someone exotic and interesting. Unfortunately, that makes it easy for guests to create an imaginary persona. After all, how will the host know the difference? Another issue arises because tenants give these visitors too much leeway. Online vacation services initially were designed for vacationers who wanted to stay with a local host, like a traditional bed and breakfast. But over time, more and more tenants discovered just how lucrative a proposition it is to rent out the entire property. In one reported case, the tenant would actually sleep on a friend’s couch every weekend in order to allow guests access to his entire apartment, unsupervised. By doing so, this tenant earned enough to pay his rent. The fact that this was a rent-controlled apartment only made the situation worse. Tenant screening is a very particular process. Small deviations in that process can build a shaky foundation. For instance, whether renting out a room or an entire property, hosts have a tendency to focus on the type of person they’d like to meet. They might even place those preferences in their listings. Experts are warning that this could lead to housing discrimination claims. 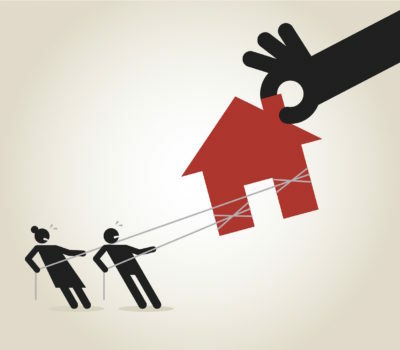 It’s not the tenant’s property, so is the owner liable? The focus on personal characteristics takes attention away from more meaningful qualifications. In fact, hosts don’t always ask about qualifications, like criminal, credit or rental histories. Many tenant hosts don’t know how to screen, and even if they did, they may not have access to tenant screening tools. They go by “gut”, which is a risky strategy. It’s also disturbing how much trust people place in the veracity of social media profiles, as though no one would ever make up an identity or steal someone else’s. It’s also extremely difficult to verify a person’s identity using the Internet. The problem is compounded when the host uses a lockbox or password and never meets the visitor face-to-face. Some listing sites attempt to verify identification, but even if the guest’s phone number and social media profile line up, there is no way of knowing if that person is a victim of identity theft. The same thing is true if a photo ID is scanned digitally, or if the credit card and ID match. Without physical verification, those screening methods do little but create a false sense of security. The case in Toronto proves that short-term renters can cause as much damage as longer-term tenants. But that is not the common perception. Perhaps if hosts knew they’d be going to sleep with a stranger in the adjoining room, they would be more careful when inviting guests into the property. Until then, landlords should be wary of short-term vacation rentals, at least until a more effective tenant screening system is put into place.